Few weeks ago Google had unveiled custom URL service for Google+ profiles and pages, taking on vanity URLs offered by Facebook. And now Google has expanded the service to more brands and verified individuals. 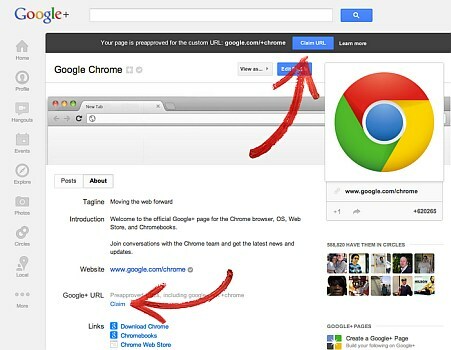 Users, part of the roll-out, will see a notification on the top of the homepage that says, “your page is preapproved for the custom URL: google.com/CUSTOM followed by a Claim URL button that you’ll certainly want to push.” Such users will also be notified via an email to prompt them about claiming theirs. It's notable the custom URLs service does not let you pick your own URL, but you can seek a different one. Google says once you select your custom URL, you cannot change or transfer it. “We’re making these changes over the next few days, and we’ll be offering custom URLs to many more profiles and pages in the future. We appreciate your patience in the interim, and we look forward to hearing your feedback,” says Saurabh Sharma from the Google+ team. 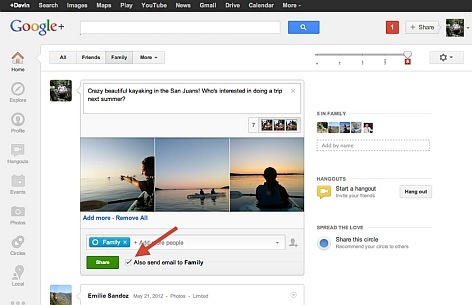 Earlier, Google+ custom URLs rolled out to a limited number of 'verified' users. Google revealed that few celebrities such as David Beckham and pop singer Britney Spears, along with brands like Toyota, Delta, and Hugo Boss have already received the custom URLs. In another Google+ news, the social networking site is now going to get new notification controls. Users can now “mute” notifications on their profile. Moreover, users can subscribe for e-mail alerts for updates on certain Circles they want to. For these select circles, we often have news we really want to share — like getting engaged, or landing a job," Austin Chang from the Google+ team, wrote in a post. "In these cases you can now check 'Also send email' when sharing, to help make sure your friends see your message."